These Core Values are a reflection of the culture and traditions that runs deep here at Camp Crestridge. Gospel Unity - The Gospel unifies us all as believers and it is the centerpiece of our camp's mission and program. We believe that following Jesus is not just a part of life, but something that affects every aspect of life. The Gospel is an amazing story, and it is also something that impacts everything we do at camp. Our desire is to communicate, and live in response to, the Gospel in every area of our camp program. We believe the hope, the joy and the grace of the Gospel should be a part of all we do, whether we are playing soccer, hiking up a mountain, or ending the day with a cabin devotion. Evolving Traditions - Traditions are a great part of camp as we continue to meet the needs of our mission. We want to keep the things we love while moving WITH our campers and the times. 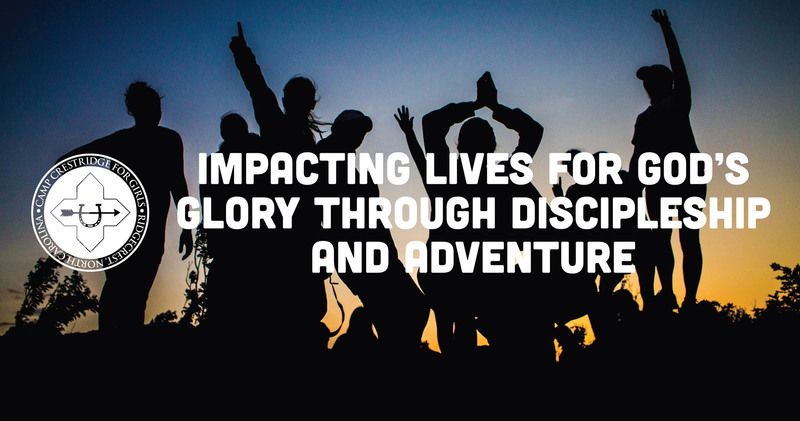 We want to hold on to things that have made us who we are as a camp, but we don't want to miss out on who God is making us as a camp, to Impact Lives for God's Glory Through Discipleship and Adventure. Safe Places - The physical safety of our campers is of primary importance to us. It is ingrained in the mind of our staffers and they are trained to think safety first. Our staffers are very conscious of safety concerns that may occur during our activities. Campers can also enjoy the freedom to be themselves while at camp and not feel like they have to act differently in order to fit in. Our staffers create this safe place by being aware of how relationships are being formed, including everyone in activities, and monitoring the campers' interactions with each other. Individual Growth - Each camper and staffer will experience growth that is personal and unique to them. For the campers, we challenge them with specific ways to grow spiritually, socially, physically, and mentally. For the staff, we provide leadership and a support system to encourage them and give specific direction in how to grow as an individual and as a leader. Purposefully Unique Experiences - Our programs and activities are designed to be intentional in relational ministry and extraordinary in creativity. Through our unique adventures, and excellence in our activities there are great opportunities for lives to be impacted and walls to be broken down. However, no matter how great or unique the structure of a program or event, the only way for these to make a meaningful difference is for the staffers involved to be fueled by the reasoning behind the activity, which is to pursue people as we represent and present the Gospel of Jesus Christ.